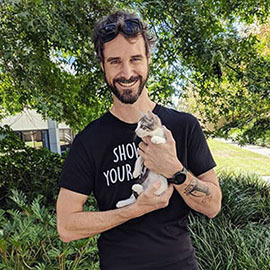 2nd Chance Cat Rescue is a registered Australian Charity (ABN: 66 448 752 266) and not-for-profit organisation run solely by volunteers in the south-eastern suburbs of Melbourne. 2nd Chance Cat Rescue started in July 2011 rehoming desexed, vaccinated and microchipped kittens to good homes. We are a small home-based rescue group with just a handful of Foster Carers and Volunteers. So far we have rehomed over 1700 cats and kittens. We are proud of our contribution to the welfare of cats in this part of Melbourne - especially as we are a handful of foster carers, on a mission with a dedicated team of volunteers. We aim to not just look after the cats in our care, but to try and educate the community in cat population control. And we love our adopters to stay in touch after they have adopted a cat from us. We are always looking for dedicated foster carers. 1. Go to our website www.2ndchancecatrescue.com.au and go to our adopting page. Please note that the adoption fee as stated on the cat's profile is required on the day of adoption and we only accept cash. 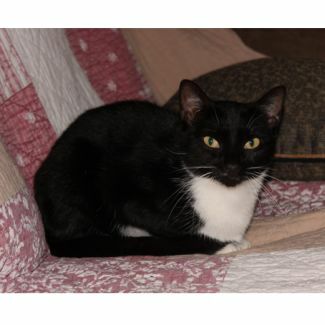 Loreal "2nd Chance Cat Rescue"
Zina has been with 2nd Chance Cat Rescue for a few months now. When she came here she was a very timid young mother cat, rejected by another rescue and her kittens dumped back onto the street. That's where we stepped in and took her and her two kittens in. Some cats take a little longer to learn to trust, but Zina now loves to come up for pats, she can't get enough of them!. She still doesn't like to be picked up, but we're happy that she has come so far. We would like her to be rehomed to a local home, so we can stay in touch and give advice to the new owners if they should need it. Zina is a nurturing-natured girl who loves to check out the kittens in the room. We know that she had at least two litters before she came to us. 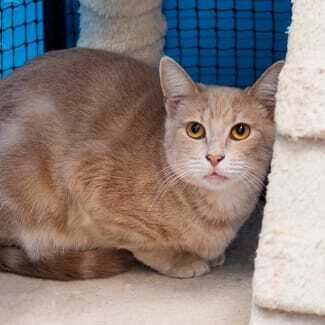 Located in Cranbourne Adoption fees include desexing, microchipping, first vaccination, flea and worm treatments. They also now include FREE microchip change of ownership, ensuring that if your pet ever gets lost, they are returned safely to you. 2nd Chance Cat Rescue provides a 7 day health warranty on all adoptions. Although all our cats and kittens are health checked prior to adoption, sometimes the stress of a new environment can upset their immune system. 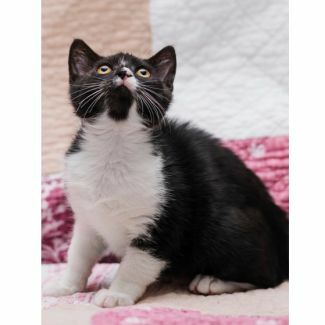 Please LIKE us on Facebook for more pictures and updates: http://www.facebook.com/pages/2nd-Chance-Cat-Rescue/270841242949049?ref=hl View all of our cats and kittens available for adoption here: https://www.petrescue.com.au/groups/10215/2nd-Chance-Cat-Rescue ADOPTION QUESTIONNAIRE We ask that you complete an Adoption Questionnaire before we make arrangements for you to meet a cat or kitten. This is to ensure that we find the best possible match for you and the cats/kittens in our care. PROCEDURE 1. Go to our website www.2ndchancecatrescue.com.au and go to our adopting page. 2. You can complete the online application by following http://www.2ndchancecatrescue.com.au/adopting/adoption-form 3. Or you can download the document and email back via 2ndchancecatrescuevic@gmail.com 4. If your application is successful, we will contact you to arrange a meet and greet. Please note that the adoption fee as stated on the cat's profile is required on the day of adoption and we only accept cash. PLEASE BE PATIENT 2nd Chance Cat Rescue is a home-based rescue group and most of our volunteers are working full-time so we hope that you understand that it may take 1-2 days to get back to you. When Tony arrived at 2nd Chance Cat Rescue he was literally at death’s door, he was that emaciated. Even a light breeze could have knocked him off his feet! He has come a long way since then, though. He’s well fed now and his super sweet personality has come to the surface. still shy and has to get to know you first before he starts to trust you. He is with a female cat who had kittens and he LOVES to take his "father" duties seriously. He is such a caring boy to the kittens and takes care of them while mum has some time out. 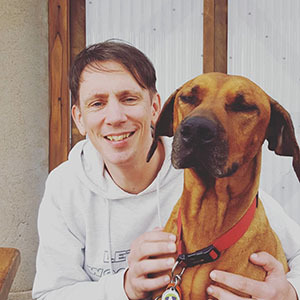 You can pat Tony, but he is not used to being picked up. Lots of treats, TLC and playing would do the trick. He loves to play and it is a real Joy seeing him doing all the funny tricks the kittens have taught him. Tony has the most beautiful amber eyes. We're hoping that somebody will fall in love with this gorgeous young tom for who he is and will give him the 2nd Chance he so deserves. Located in Cranbourne Direct DONATIONS are always welcome: https://www.givenow.com.au/2ndchancecatrescue Please fill in our online questionnaire to arrange a meet & greet with the foster carer: www.2ndchancecatrescue.com.au/adopting/adoption-form Adoption fees include desexing, microchipping, first vaccination, flea and worm treatments. They also now include FREE microchip change of ownership, ensuring that if your pet ever gets lost, they are returned safely to you. 2nd Chance Cat Rescue provides a seven day health warranty on all kittens if a vet visit is required (please contact us first for approval and to organise the health check with a rescue approved vet. For a pre-existing condition only and up to $1000;). Please LIKE us on Facebook for more pictures and updates: http://www.facebook.com/pages/2nd-Chance-Cat-Rescue/270841242949049?ref=hl View all of our cats and kittens available for adoption here: https://www.petrescue.com.au/groups/10215/2nd-Chance-Cat-Rescue ADOPTION QUESTIONNAIRE We ask that you complete an Adoption Questionnaire before we make arrangements for you to meet a cat or kitten. This is to ensure that we find the best possible match for you and the cats/kittens in our care. PROCEDURE 1. Go to our website www.2ndchancecatrescue.com.au and go to our adopting page. 2. You can complete the online application by following http://www.2ndchancecatrescue.com.au/adopting/adoption-form 3. Or you can download the document and email back via 2ndchancecatrescuevic@gmail.com 4. If your application is successful, we will contact you to arrange a meet and greet. Please note that the adoption fee as stated on the cat's profile is required on the day of adoption and we only accept cash. PLEASE BE PATIENT 2nd Chance Cat Rescue is a home-based rescue group and most of our volunteers are working full-time so we hope that you understand that it may take 1-2 days to get back to you. $180.- Easter Special ! Our 6 month and over kittens will be on Special. Danny is a beautiful, playful and affectionate little boy who loves lots of smoochy cuddles. He has gorgeous black fur. He is very adventurous and curious, so he's always checking what you're up to. 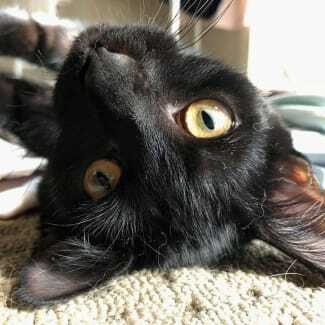 Danny is the purrrfect addition to any family. Mots of all he loves to play, he just can't get enough of it. He is especially fond of his foster mum's outdoor cat enclosure. Danny is such a wonderful little boy, he would make the purrfect furball to just about any family. Located in Cranbourne Direct DONATIONS are always welcome: https://www.givenow.com.au/2ndchancecatrescue Please fill in our online questionnaire to arrange a meet & greet with the foster carer: www.2ndchancecatrescue.com.au/adopting/adoption-form Adoption fees include desexing, microchipping, first vaccination, flea and worm treatments. They also now include FREE microchip change of ownership, ensuring that if your pet ever gets lost, they are returned safely to you. 2nd Chance Cat Rescue provides a 7 day health warranty on all adoptions. 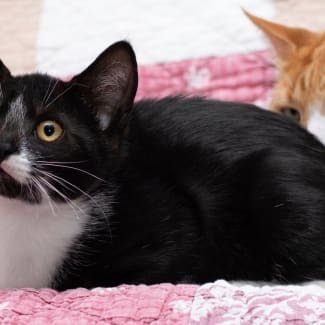 Although all our cats and kittens are health checked prior to adoption, sometimes the stress of a new environment can upset their immune system. Please LIKE us on Facebook for more pictures and updates: http://www.facebook.com/pages/2nd-Chance-Cat-Rescue/270841242949049?ref=hl View all of our cats and kittens available for adoption here: https://www.petrescue.com.au/groups/10215/2nd-Chance-Cat-Rescue ADOPTION QUESTIONNAIRE We ask that you complete an Adoption Questionnaire before we make arrangements for you to meet a cat or kitten. This is to ensure that we find the best possible match for you and the cats/kittens in our care. PROCEDURE 1. Go to our website www.2ndchancecatrescue.com.au and go to our adopting page. 2. You can complete the online application by following http://www.2ndchancecatrescue.com.au/adopting/adoption-form 3. Or you can download the document and email back via 2ndchancecatrescuevic@gmail.com 4. If your application is successful, we will contact you to arrange a meet and greet. Please note that the adoption fee as stated on the cat's profile is required on the day of adoption and we only accept cash. PLEASE BE PATIENT 2nd Chance Cat Rescue is a home-based rescue group and most of our volunteers are working full-time so we hope that you understand that it may take 1-2 days to get back to you.